Colour me happy ... with geometric and vintage details. 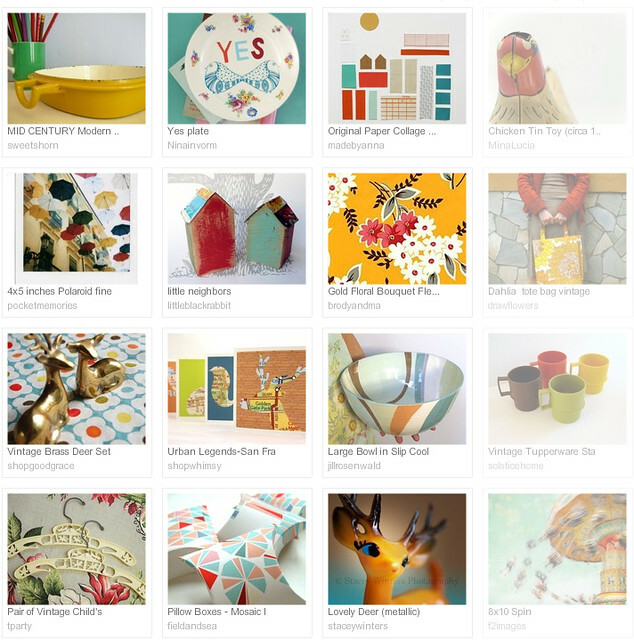 What a gorgeous treasury, I love the little deers, very sweet indeed. Hope you are having a lovely weekend! So lovely colors you chose!! Those colors are my image of Europe:)I love them. Hope you had a lovely take away and a relaxing evening. treasury is fun! i love the pillowboxes!